Havana was the first city I visited in Cuba and was definitely one of the highlights of my Cuba trip. 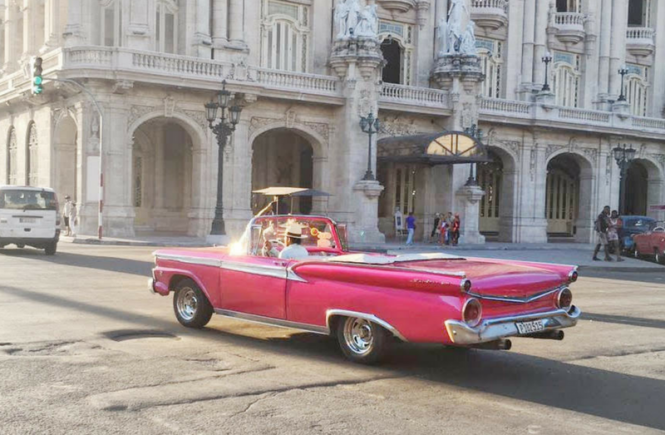 Everything you hear about Cuba comes alive in Havana, but you realize it’s much more than what you heard! Riding from the airport I couldn’t help having my eyes wide open while watching the old buildings and the colorful cars. It’s like a different world, actually it’s like being in a different time: exactly 6 years ago. See below all the best things to do in Havana as well as accommodation advice. One of the 15 municipalities of the city, Havana Vieja (or Old Havana) is probably what will pop to your mind when you think about a postcard of Havana. All I recommend is walking, walking, walking and getting it all in. This is the most touristy place of the city so you’ll find lots of restaurants and souvenirs. Admire the beautiful Capitolio and then walk through the Parque Central where you’ll be able to get a ride on a Taxi Particular. 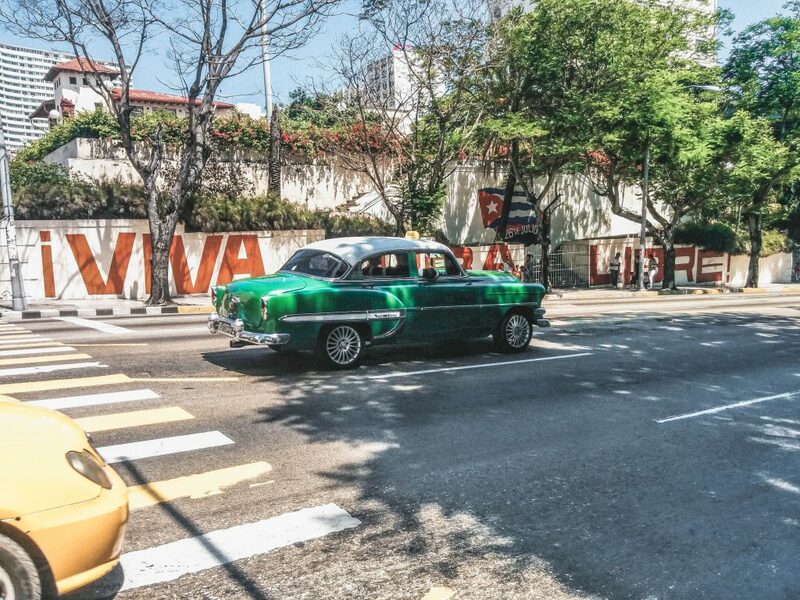 These are the famous 1950 cars that make Cuba what it is. These taxis are shared so don’t be surprised if someone gets in! Take a good look at the buildings at Plaza de la Catedral. Next to it you’ll find the Castillo de la Real Fuerza. After that, go to the Plaza de Armas where you’ll find a book market full of hidden gems from the times of the “Revolución”. My favorite photo spots were the Plaza Vieja, and the Museo de la Farmacia Habanera which is an old but picturesque pharmacy. You can obviously do all this on your own but as I always say walking tours are a great way to get history in, specially if you just arrive to a place. I recommend booking this one. Cuba is a history-rich destination which, like all travels, will open your eyes and view of the world like probably never before. You will find that the rumors you have heard about this destination are true. It does feel like time in Cuba stopped in early 1959 when Fidel’s revolution succeeded and Batista had to flee the country. 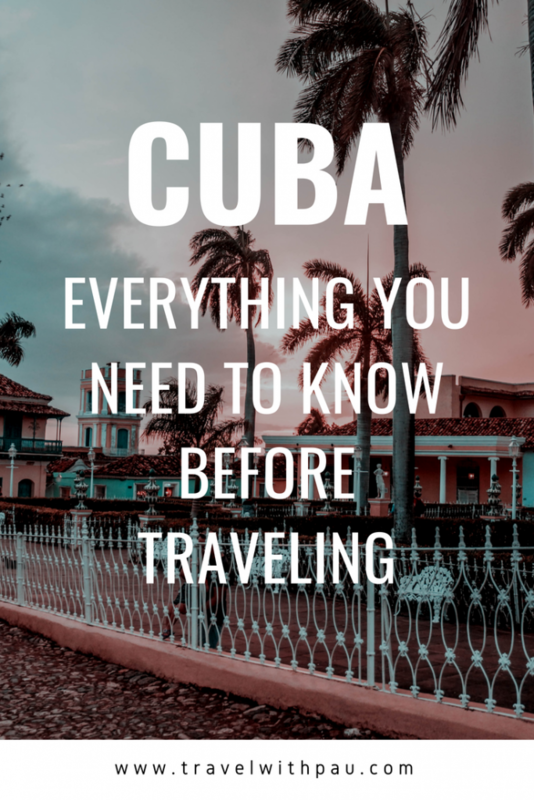 Here are the things you need to know if you are traveling to Cuba for the first time and are planning to explore farther than the all-inclusive hotels. Check here before traveling to Cuba if you need a Visa although only a few countries are exempt. You need to get a Tourist Visa from an agency or the Cuban embassy directly. The peso CUP and the convertible peso CUC. The CUP is the national currency, in Spanish moneda nacional. The CUC, paired with the US dollar, is mainly the “tourist” currency. Currently, 1 CUC is 25 CUP. Before going there, I thought locals couldn’t access the CUC and vice versa. However, I saw many locals handling CUC and I was able to change CUC to CUP on a currency exchange office, which was useless as essentially almost everything is listed with both prices on tourist areas, but I did get a 3 pesos Che Guevara note which I wanted. Takeaway: don’t try to get CUP, and don’t confuse the currencies when being given change. CUCs say “pesos convertibles”. The best place to exchange money is the bank, not an exchange office and beware, if you take USD to exchange you will be charged a 10% fee so try to exchange any other currency. “Casas Particulares” are the Cuba’s Airbnb and a gem! Since 1997, long before Airbnb existed, the government has allowed Cuban homeowners to rent rooms in their house for a fee. Houses have typically 2-3 rooms and the price ranges from 20-50 USD or CUC, sometimes including breakfast. Now that Cuba made peace with the US, you can book them via my favorite hotel platform Booking.com. When I went, casas would let you book by just calling them on their phone numbers listed on TripAdvisor but I’m not sure if that still stands so Booking.com might be a better alternative. In my opinion, a casa is the best way to experience Cuba. If you pick one with good reviews, the hosts will be most surely be lovely. 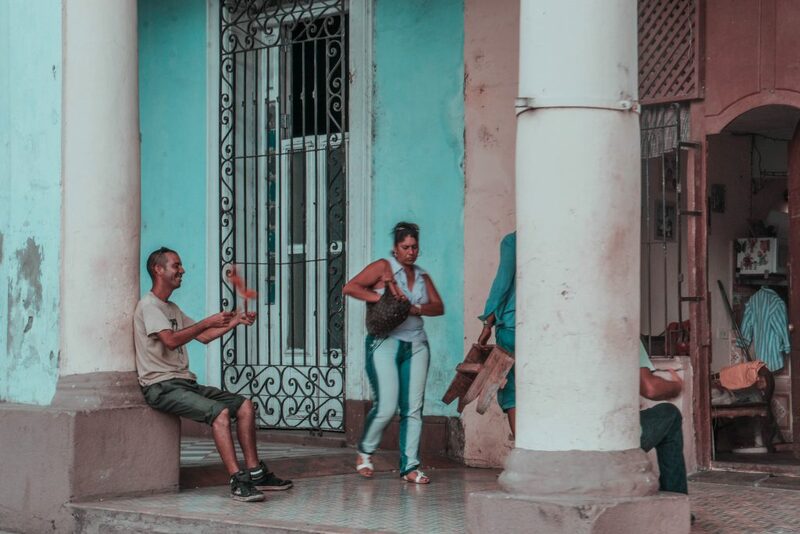 This will give you the opportunity to interact with locals and have a chat about the Cuban way of life. I was lucky to stay in this lovely casa in Santiago de Cuba where three generations of the family were present during my visit. The difference of opinions depending on the generation was mind blowing. Talking to them was definitely one of the highlights of the trip. Just to put it into perspective, I’m still in touch with many of the casa owners. You wouldn’t imagine the things casa owners have done to make our stay better. From gifting us a rum just because, to taking us to the hospital and convincing the doctor to not take us to another city in an ambulance because Pablo had cholera symptoms and then buying medicine for us so that it would be cheaper. Believe me, these people will go above and beyond. Forget about free Wi-Fi wherever you go, and say hello to internet cafes like back in the day! Internet is severely restricted and internet access controlled by the government. In a 5 star hotel I’ve had to purchase a small piece of paper with a code to get Wi-Fi access for 5 CUC an hour. In smaller towns, I have had to go to internet cafes where I had to pay a high price for timed usage. And yes, most of the times I’d have to queue, as Cubans also want to get on the internet. It’s similarly expensive for telephone calls. So if you are going to make calls from one of your casas make sure you pay them. 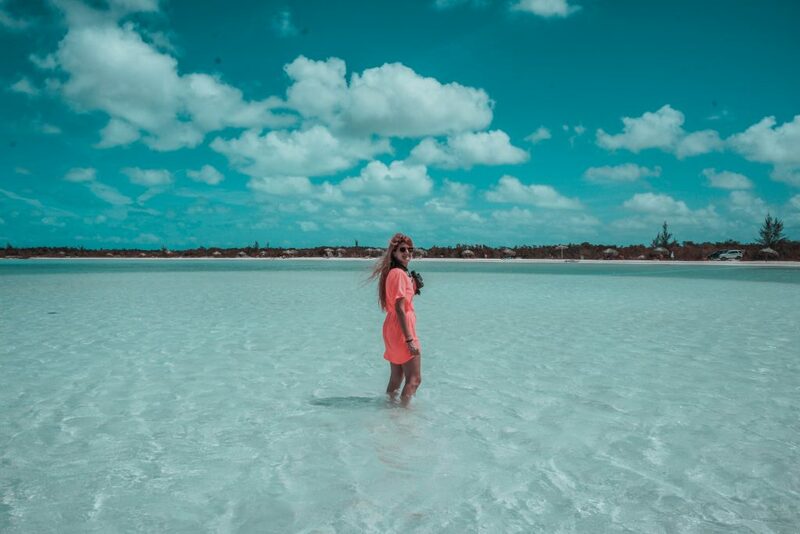 This is part of the reason why a Cuban holiday is good, you really do disconnect! Make sure you download the maps you need on Google Maps and print any other documents you might need to show. This is important, you’ll avoid potential arguments with Cubans or just losing your time. Cubans don’t queue on a straight line. They arrive to the queue, and ask “quien es el último?” or “el último?”. Someone will say “yo” which means “me” and that means you’ll go after him. You are essentially asking who is the last person in the queue. If you don’t do this, you are not considered as being in the queue. This is for real. Always ask for “el ultimo”, and when the next person arrives, remember to say “yo” when they ask for “el último”. Cuba is a communist country, and therefore capitalism is almost null. This means no advertising other than propaganda and no consumerism. This results in almost all Cubans not being able to access most of the items we use on a day-to-day and on our trips, like a GoPro, Nike shoes and other really basic stuff you wouldn’t even think off. As an example, it took me ages to find somewhere that sold a lighter. However, unless you are very unlucky it’s really unlikely that you would get mugged. As always, take care of your belongings, but Cuba is safe enough for you to fully relax. However, I did notice some cheeky innocent crimes. For instance, in the famous restaurant “La Bodeguita Del Medio” I was overcharged in various items in my bill, by small amounts like 1 CUC or 0.5 CUCs per item, twice – and I went twice! This happened in other restaurants as well. The bill is handwritten most of the times. Other similar things happened and, in all cases, the people involved almost didn’t apologize which kind of led me to believe it wasn’t really a mistake. Just keep your eyes open, sometimes you may let it go and consider it “extra tip” for how friendly they are, but let it be your choice. Also, get away from people talking to you on the streets specially in Havana. Although they look like they want to be your friends and are super nice, I’m afraid it’s probably a scam. As said before, buying options in Cuba are limited as it’s a closed country. You’ll be amazed to see in supermarkets how there is only one (or two) options of each item. And, if you check the labels, you’ll realize they belong to local companies which are government owned. Similarly, there are not many food options. The fruits you’ll get will be the ones in season. There will be a lot of “moros con cristianos” (rice with beans) with pork, chicken or fish, sometimes with plantains or sweet potatoes. Beef is scarce, and even in 5 stars hotel I’d suggest you avoid it, you’ll be at risk of intoxication. It happened to Pablo, and it wasn’t fun, as I mentioned above they almost took us from Viñales back to La Havana in an ambulance because they considered his symptoms cholera symptoms so they wanted to quarantine him. And last, milk is mostly available in its powder form as fresh milk is very scarce. The best food you’ll get will be at the Paladares, which are privately owned restaurants. These, compared to their government owned counterparts, need to make a bigger effort to survive so they are generally much better quality. And you’ll also be supporting Cuba’s entrepreneurs! There is no recommended airline, and it also greatly depends where you are coming from. Try Momondo and Skyscanner to find the cheapest flights, one of them should definitely work! You’ll have to flight to La Havana which is great as it’s a must visit. 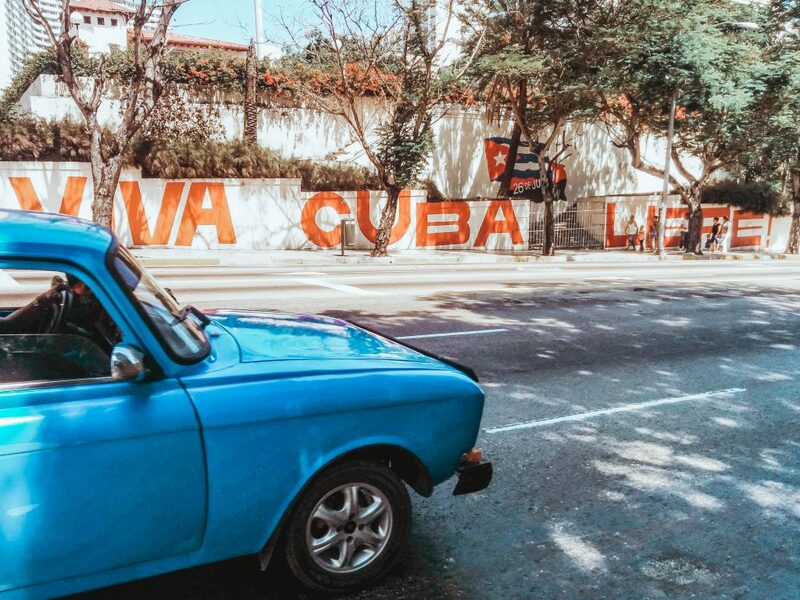 Find the best things to do in Havana in this post. I rented a car. It was awesome, because I truly got to see the real Cuba. I’d say though, it’s only for the brave. First, it’s really, really expensive, I would say around $100 USD per day for a terrible car. Some roads are in great condition, some are literally in ruble. Roads aren’t really prepared for tourists, so road signs aren’t great. So if you get lost and don’t speak Spanish then it’s gonna be a tad hard to get to your destination. Spanish is my first language, so I didn’t have a problem though. On the flip side, the roads are almost empty so the experience is pretty relaxing, and you get to live Cuba in full. I really enjoyed the billboards I found along the highway promoting Che, Fidel, and the revolution. It was just so surreal. If you do want to go for the car then you can do so from Transtur, Havanautos or Rex. You absolutely need to book in advance, or they won’t have a car for you. 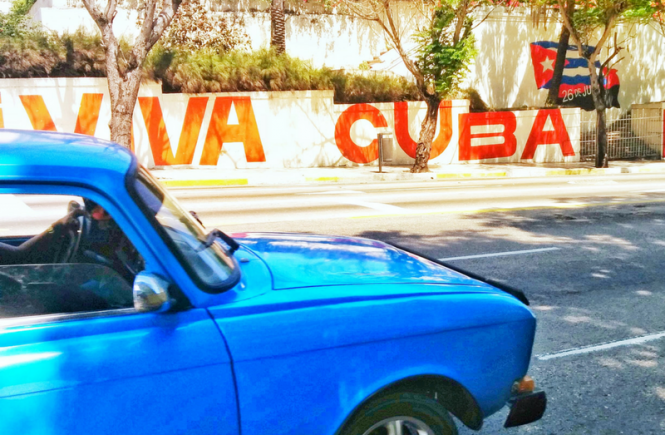 Cars are a scarce resource in Cuba. You can also get around by bus, called Via Azul. But I’d say the most common option is to rent a car with a driver. I’d recommend you do that when in Cuba, get help from your casa owners, they’ll help you get a good driver at a reasonable price.